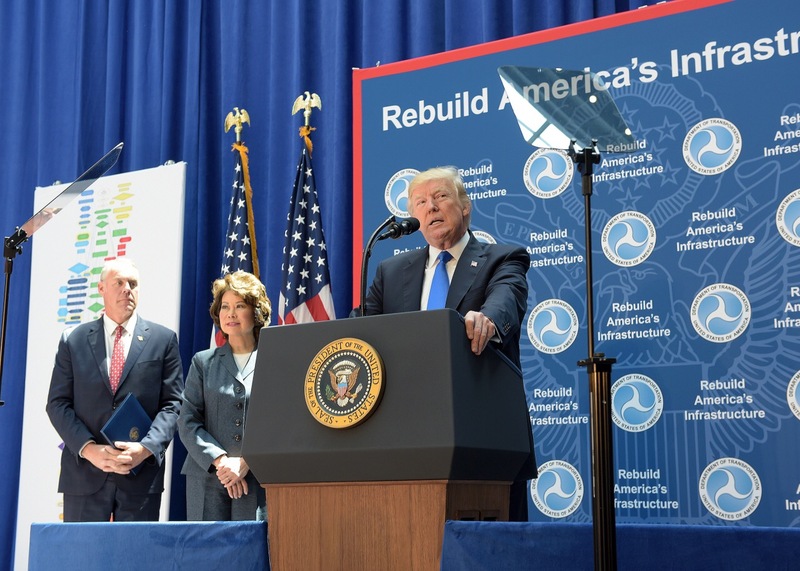 WASHINGTON – Friday, June 9, Surrounded by hundreds of infrastructure workers and stakeholders, U.S. Department of Transportation Secretary Elaine L. Chao joined President Donald J. Trump in the closing event of ‘Infrastructure Week’ at Department Headquarters in Washington. Secretary Chao announced the Department has published a federal register notice seeking public input in order to identify and reduce unnecessary regulatory obstacles that too often stand in the way of completing important infrastructure projects across the nation. The comment period will be open for 45 days at this link[external link]. All comments will be available in the public docket and available for public review. The Department has made engaging the public, especially affected stakeholders, a top priority.